We’d love your help. Let us know what’s wrong with this preview of Beeswax Alchemy by Petra Ahnert. 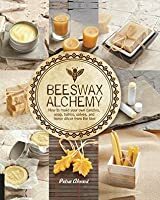 Featuring over 40 DIY projects that illustrate how to transform one of the world’s most natural ingredients into tangible creations, Beeswax Alchemy is the perfect amalgamation of recipe craft book and beekeepers’ guide. Considered the miracle of the beehive and used by humans for 8,000 years, beeswax remains a vital ingredient to society and is still used as the foundatio Featuring over 40 DIY projects that illustrate how to transform one of the world’s most natural ingredients into tangible creations, Beeswax Alchemy is the perfect amalgamation of recipe craft book and beekeepers’ guide. Considered the miracle of the beehive and used by humans for 8,000 years, beeswax remains a vital ingredient to society and is still used as the foundation for many household products in the twenty-first century. Learn from apiarist and entrepreneur Petra Ahnert about the history of beeswax, as well as tips and techniques on how to mold it into beautiful, reusable creations. To ask other readers questions about Beeswax Alchemy, please sign up. I have used beeswax alongside other ingredients to make my own products for about a year. I purchased Beeswax Alchemy for more information and some new recipes. The section of the book that I found most helpful was the page or two that dealt with cleaning up beeswax, which sometimes seems nearly impossible. I love this book and I think that I will have to buy this and try everything. What I love about this book is that at the top of each page it tells you the difficulty, beginner, intermediate, advanced. Also there were different types of uses for the beeswax. There are also pictures to show steps. In the back of the book there is a guide for oils and other ingredients. I found this book to be a wealth of information and inspiration for upcoming projects. This book will find its place as an oft-used reference for formulating new recipes. I got some ideas from this as to what to use our beeswax for. This is more of a reference but I did read it to get new ideas. Many recipes I want to try. I have been wanting to try to make my own candles for awhile now and with this book I actually feel like I can really do it. There are a few other things to try as well. This is one of the better crafting books I've come across. I am a small time bee keeper which is what drew me to the book but after reading it cover to cover I'm looking forward to utilizing my wax for some of these types of projects. This book left nothing about the projects unexplained. It's a thorough and beautiful book. I bought this as I love honey products and thought to make myself some. Petra has written an excellent instruction manual which is simple but thorough. The soap turned out beautifully as did the lotion. There isn't much else to add other than it was worth purchasing. Love it. Met the author at my local farmers market and purchased this book and 6lbs of honey from her. I like the book and everything seems to be explained fairly well. I will try out a few projects and update this review later. Informative about how they get beeswax and the various types/colors of beeswax. I actually wanted this for a few of the beauty recipes but there are instructions for those, soaps and candles. Nice book if you are interested in beeswax crafts! This book is excellent! I can't wait for cooler weather when I'll be rendering and recycling this season's wax. Goodies to come! This stuff looks great! Looks easy to understand with photos to show the steps for each project. 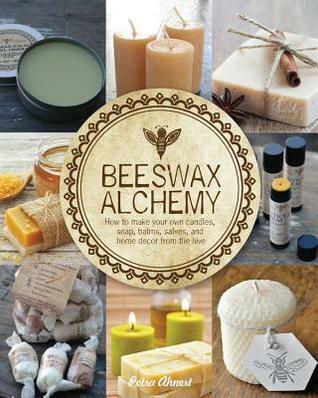 An excellent introduction to many uses of beeswax including candles, cosmetics and intaglio painting. I think it is also useful to those who are already familiar with crafts involving beeswax because there are tips and tricks useful to the intermediate crafter and I think most are not familiar with all these uses. Best recommended for beekeepers casting about for good uses of beeswax since the author discusses refining beeswax for use.